KANSAS CITY, Mo. 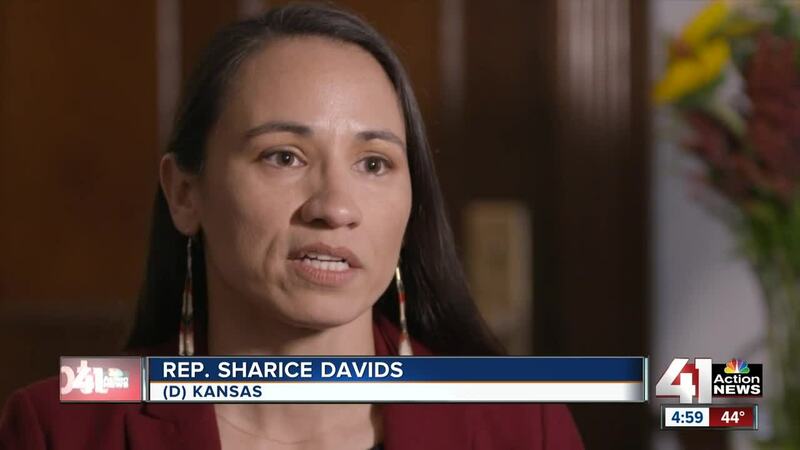 — The 116th Congress started Thursday with Kansas Congresswoman Sharice Davids and Missouri Senator Josh Hawley officially being sworn-in. The new congress is in session. It includes the most women in history and it's the most diverse. "We are about to step into a situation that I don't think we have seen before, which is a new congress starting with a government shutdown," Rep. Davids told 41 Action News Thursday morning. Davids, who was a political newcomer heading into last fall's elections, is now the 3rd district congresswoman from Kansas. Good morning, #KS03! The work continues today. Happy Swearing In Day, #116thCongress. Davids says she is ready to end the government shutdown so congress can focus on other issues. "I think it is clear that we are in the position we are in now, not because Democrats oppose funding for a border wall, it's because it is an inefficient use of taxpayer resources," said Davids. "We are going to be focused on addressing key issues like money in politics; It should not be this expensive to participate in democracy; Having access to the ballot box; Increasing voter rights." Josh Hawley, the newly minted junior senator from Missouri, is also focused on opening the federal government. "I would say to the Democrats, "It's time to do your jobs, stop politicking, secure the border, get things done, stop playing politics," Sen. Hawley said in an interview with 41 Action News. Hawley says his focus will then shift to healthcare and making sure Missourians earn more money. "We've got to secure the border, protect Missouri workers; We have got to protect Missouri workers - we want to see their wages rise. People working multiple jobs, we need to put them first, we need to put them ahead," said Hawley.